Advent Day 9 :: Help Mom make (and eat!) 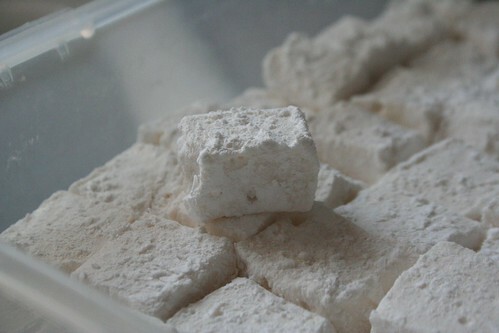 marshmallows, originally uploaded by earthchick. This was so much fun! I used the Smitten Kitchen recipe and it was way easier than I expected. Really, the hardest part was waiting three hours for them to chill. Tiny Dancer proclaimed them the best marshmallows he’d ever tasted. Your link is wonky – but thanks for reminding me of that recipe! Thank you so much, Janna! I just fixed it.